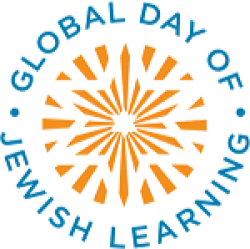 The Global Day of Jewish learning is a project of the Aleph Society and Rabbi Adin Even-Israel Steinsaltz, uniting Jewish communities across the world through study of our shared texts. At the same time you are learning, hundreds of diverse communities across the continents will also join this experience. Together we can unite the Jewish people. The Global Day of Jewish Learning published a new Source Sheet, "And You Shall Ask": The Power of Questioning. The Global Day of Jewish Learning published a new Source Sheet, "On the Road with Elijah". The Global Day of Jewish Learning published a new Source Sheet, "The Mirrors of the Women": Beauty, Desire and the Divine.